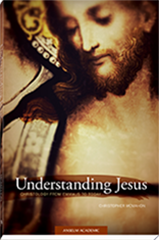 View cart “Understanding Jesus, Revised Edition” has been added to your cart. Understanding Jesus: Christology from Emmaus to Today, rev. 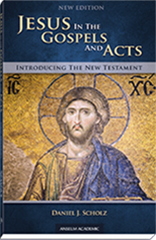 ed., is a highly usable and accessible text that helps engage questions surrounding the religious significance of Jesus within Christian tradition. 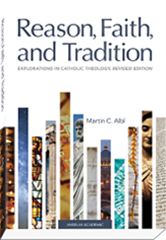 The book surveys the landscape of contemporary Christology, providing an overview of the range of current issues and filling the gap in introductory texts on Christology by moving, with ease, through biblical material, Christological councils, contemporary debates, and even addressing the issues of religious pluralism and Christology. Understanding Jesus is a complete revision of author Christopher McMahon’s earlier book, Jesus Our Salvation: An Introduction to Christology. It includes updated text, new material, and a faith-friendly perspective that is hospitable to readers of a wide range of faith convictions. Sidebars and charts in each chapter highlight and develop key issues, ideas, historical moments, and personalities, while a glossary, chapter questions, and suggestions for further reading enhance accessibility. “Christopher McMahon’s Understanding Jesus: Christology from Emmaus to Today is a compelling exploration of the salvific effects of Christ’s life, ministry, death, and resurrection designed to engage readers and take them on the journey that began with Emmaus and continues today. It is a refreshingly direct Christological overview in which McMahon allows the debates, concerns, and questions, not only of scholars but also of the faithful, to emerge from the texts and then to be addressed in a balanced and thoughtful manner. “Proceeding from a low-ascending Christology, the journey begins with a clear and accessible consideration of the quest for the historical Jesus. Along the way, the reader is introduced to important persons of interest whose contributions to the Christological conversation are significant. McMahon is skilled at introducing insights and applications, such as John Meier’s criteria for historical Jesus research, and then applying them directly when interpreting the meaning of scriptural passages. Such application is critical for a student reader of the text. “Understanding Jesus builds an important bridge between contemporary theological scholarship and the undergraduate classroom. With its explanation of the successive quests for the historical Jesus, this book provides a learned and comprehensive antidote to conspiracy claims about Jesus of Nazareth that today’s university students encounter in popular media. The author helps students make sense of an often-bewildering array of scholarly voices in clearly explaining both the promises and the limits of what historical research can credibly affirm about Jesus. 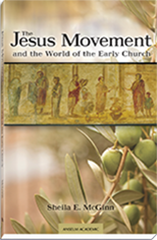 “With its fair-minded treatment of contrasting positions in Christology, Understanding Jesus walks readers through centuries of textual and doctrinal developments from a perspective that is simultaneously Catholic and ecumenical, and appreciative of the contributions of Christian theologians from around the globe. Christopher McMahon holds a PhD in theology from the Catholic University of America. His areas of interest include Christology and Scripture. 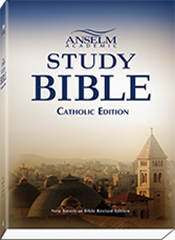 Dr. McMahon is a contributor to the Saint Mary’s Press College Study Bible and The New Catholic Encyclopedia. He has also contributed essays to Patristic and Byzantine Review, New Blackfriars, American Benedictine Review, and The Journal of Religion and Film. Dr. McMahon currently teaches theology at Saint Vincent College in Latrobe, PA.